NEW NEW NEW!! Just remodeled Top to Bottom with no expenses spared! Stunningly remodeled home with HIGH END upgrades. Grab your Modern Contemporary home with Rustic twist today! What a great location in desirable Shore Acres. Situated 1 block from the Water/Bayshore where the Multi Million dollar homes are. If you like to bike or Jog this the home for you. BRAND NEW Windows, AC, New Roof in 2015, updated electrical and plumbing. A Turn Key Home! Tons of nice features, open concept Kitchen, lots of natural lights, Huge Master Bed room with SPA like Master Bath. The new white kitchen is to die for. It's so open, clean and sleek. New wood cabinet with soft close drawer, Gorgeous granite countertop and appliances. Large peninsula/island is perfect for entertaining your guests. The home has a MUD ROOM with BARN DOOR. The 4th bedroom can be used as an OFFICE. You will see lots of attention to details in this renovation from the custom window trims to artistic tile works. The house has 1 car oversized deep garage, with circular drive way. The lot is larger than most homes in shore acres. 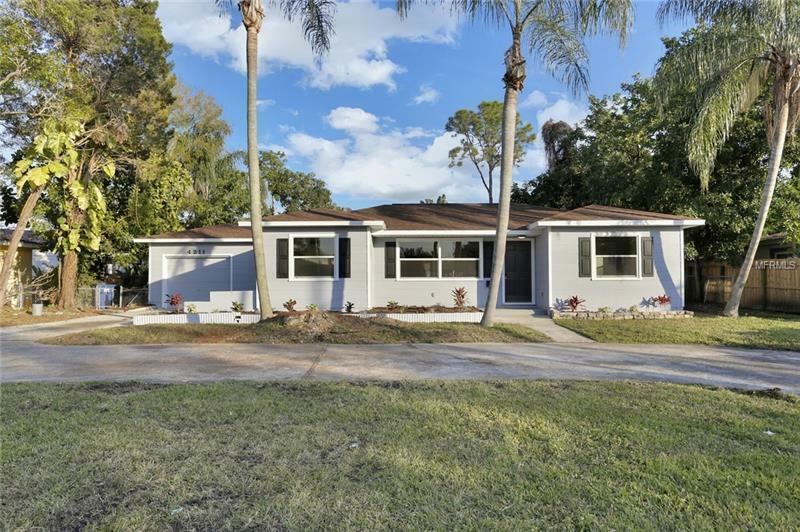 The location is unbeatable, walking distance to LCC Day school and Recreation Center, minutes to down town St Petersburg. Schedule your showing now.